While it may not be the popular opinion, the general consensus around the ReelGood office is that the BBC Sherlock series is vastly overrated. The Sir Arthur Conan Doyle ‘Sherlock Holmes’ stories, on the other hand, are adequately rated. Ever read ‘The Speckled Band’? Have a crack at that little gem if you want to be creeped the hell out. #shudder #smuglyf. Anyway, here’s the trailer for Mr Holmes, a film we didn’t ask for and probably don’t want but are getting anyway. Ian McKellen is always worth watching, so I guess..we’ll..just see…then….won’t we? 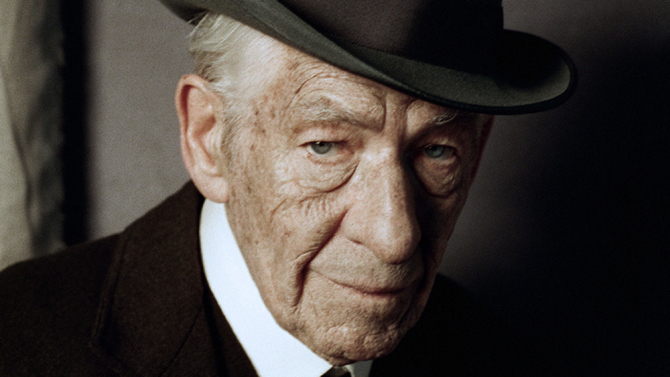 Mr. Holmes stars Ian McKellen, Colin Starkey, Laura Linney and Hiroyuki Sanada and is set for release in June, 2015.